Chime Choir loves singing great music and sharing it with others. It is committed to achieving performance excellence, professional governance,best artistic practice, and respectful community. Classical, contemporary, popular, jazz, and songs from musicals are all performed by Chime with flair and style. Rehearsals are Tuesday, 7.30-10.00pm, at Wantirna college, 90 Harold Street, Wantirna. On and off-street parking is available. Onkaparinga Harmony Chorus is filled with ladies who enjoy singing, learning new skills and entertaining our audiences with close 4 part a-cappella (unaccompanied) harmony. Our repertoire includes a wide variety of songs: ballads, Musical hits, Gospel, traditional, swing and Christmas songs (both Traditional and modern). We welcome new members aged 18+ and offer education in vocal skills and provide learning aids and music. Onkaparinga Harmony Chorus is a chapter of Sweet Adelines Australia. A new community choir in Canberra established to celebrate the rich heritage of Spanish music - all welcome. 'Voces' is a mixed SATB a cappella choir specialising in all-Spanish repertoire; sung in Spanish. To be as inclusive as possible, proficiency in Spanish language is not a prerequisite as pronunciation and lyrics are workshopped during rehearsals for non-Spanish speakers. The only prerequisite is to be able to sing in tune throughout your range, hence the audition. This wonderful all-women singing group have sung together for over 10 years. From sold out Adelaide Fringe performances to fundraising flashmobs, Allegria refuse to be pigeonholed. 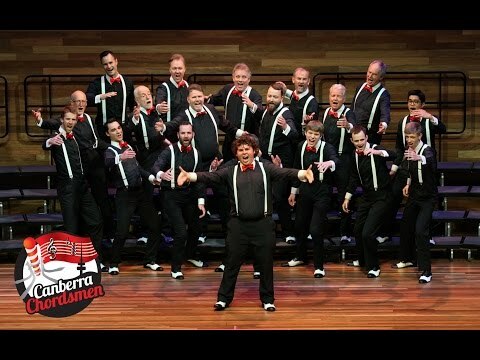 The Canberra Chordsmen is the premier chorus in the Canberra region for men of all ages who love to sing in harmony. Members enjoy weekly rehearsals which are both educational and fun along with hanging out with a bunch of guys all united in wanting to sing great music together. 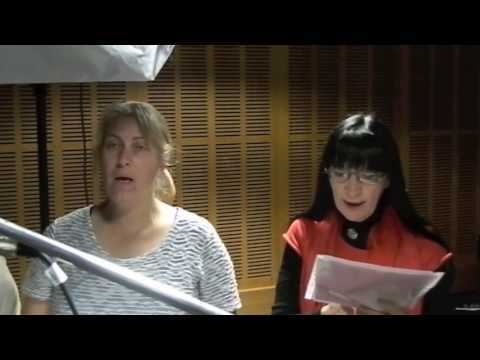 The ABC Choir has members of the ABC staff who work in Sydney's ABC Centre at 700 Harris St Ultimo. This incredibly dedicated group of singers all help to keep 'The National Treasure' up and functioning from day to day. They meet once each week for an hour during their lunchtimes and enthusiastically throw themselves into some unbridled singing in order to find joy and satisfaction in an ever more demanding workplace. Term starts again on Wednesday 31st January 2018. Quadratonic is a four part vocal acappella group based in Sydney who have been singing together for 8 years and perform a variety of styles including Jazz, Gospel, Contemporary and Classical. Regular performances include cafes, private functions, community carols, guests of community bands, choirs and churches. We rehearse weekly in Carlingford and enjoy the camaraderie of a small group and singing challenging material. See and hear us at the Lane Cove Carols in the Plaza and come and say hello.